A soft velvet cloth bag to store your shoulder rest. 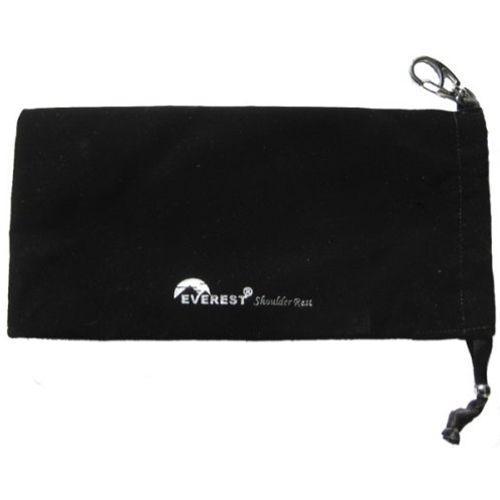 The bag closes with a drawstring, and has a clip for attaching to the outside of your case. This is a great solution for storing and keeping track of your shoulder rest if your instrument case does not have space inside for a shoulder rest. The bag fits shoulder rests of all sizes and makes.